It seems an appropriate time to talk about the recent releases of several new smartphones in the market. If you’re a follower of technology news, you’ve probably salivated over these phones that came out one after the other. Several phone companies are eager to position themselves for the Holiday season. That’s the reason you’re seeing these smartphones upgraded around this time. They want you to buy their phone instead of the competition. They know you’ll have extra cash to spend and they want to make sure they don’t lose their edge to be your choice. So they will go out of their way to impress you with their most recent product. 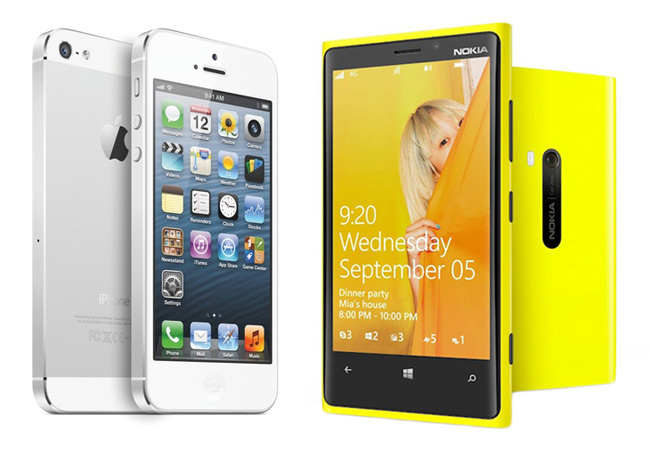 The iPhone 5 released by Apple on September 12 tops the list of the most sought-after smartphones in the market. It sports a new larger screen, an aluminum unibody which is thinner and lighter, revised and updated internals, and all the usual features Apple fans have come to rely on with the iPhone. Some other smartphones vying for attention and market share include the new Nokia Lumia 920 which runs with the new Windows operating system called the Windows Phone 8. Motorola also released a new Razr Android phone which now joins the previously released Andriods - HTC One X and the mighty Samsung Galaxy S3. With all these fierce competition going on, consumers are said to reap the benefits. But as we all know by now, these high-end smartphones are not cheap. They’re actually quite expensive. Buying one is not a trivial decision. It can have financial implications that can be detrimental if you’re not careful. So before you go on a shopping spree this Christmas, you might want to consider a few things before you buy an iPhone 5 or a Lumia 920 or any of the available Android phones out there. Do You Have a Need for a New Phone? First thing you need to ask yourself is whether or not you need a new phone? If you still have a phone, why would you buy a new one? Is it too old for your need? Does it not give you the functions you have to have with a cellphone? Of course, the technology of today has greatly expanded the functionality of phones from just conversations and text messaging of the recent past. Now, there are capabilities to always be connected on the web which significantly improved our modes of communications. The smartphones of today are also used as a camera, for email, for getting all sorts of information from maps, weather, stock prices, etc. You can use it to read books or get the news daily. For some people, it has considerably helped them get organized. It can be a source of entertainment by playing games or watching videos. All that use packed in a small device is something that can make a lot of sense if you absolutely need them. But the other important consideration is whether or not you have the money to afford one. I mean if getting this phone will set you back considerably to affect your other needs, then it’s not a very wise thing to do. You won’t want to get deep into debt just because you bought a device you are most likely to be able to live without. Weighing these two considerations will not be easy for most people. The desire to acquire the latest handset may just be strong enough to cloud one’s judgment. For example, there may be other alternatives to what an iPhone 5 can give you that you already have. You may have a laptop that can give you the extras that you’re wishing to have with a smartphone. But because you really want the iPhone, you deny these facts to yourself. It’s not an unusual thing to happen. But it would be good to acknowledge it when you feel you are not being reasonable with your buying decision. This will help you fight the urge especially when it’s not really justified. Some people will not admit that a new smartphone is just too costly for them. Having enough cash at the moment to buy an expensive phone doesn’t mean you should buy one. Like I said, if you’re budget will be stretched thin because of a new expensive smartphone acquisition, then you’re better off without it.